Yes I know I'm having the audacity to mention Christmas but seeing as the shops have gone all out with Christmas songs and decorations I guess I can no longer hide from the reality! Working in the, for want of a better word, 'Handmade' industry, Christmas throws up all sorts of feelings for me... equal measures of dread and excitement, with a dash of annoyance. For me it should be about bringing family together and enjoying each other but sadly we all know that isn't always the case these days, with Christmas becoming more and more commercialised, with shops starting earlier and earlier I really do believe we are loosing sight of what it is all about. Am I a hypocrite? well yes I could forgive people for thinking that bearing in mind I produce products aimed at the Christmas market! but my thinking behind this is that hopefully people will purchase my products and make something for a loved one, so in turn they are doing something nice and thinking about family and friends rather than just buying a mundane gift because the shops tell us we must! So I decided this year that things would change a little around here - I would make a conscience effort not to buy things for the sake of buying, that any gifts I did buy would be well thought out and practical, but most of all my focus would be on spending time with those I love. Pop along to the studio on December 9th between 12-6pm for mulled wine and mince pies. Bring a wip and sit in a comfy chair and blether to like minded folk. Buy a skein of yarn or a kit and gift it to a friend or loved one. Spread the yarn love! It won't be just me of course - I'm super excited to tell you that the fabulous Katie from Sealy Macwheely will be coming along with her treasure trove of stunning fibre! Also the amazing Kat of Domestic Kittens will be there with her handmade sewn items from make up rolls to tote bags! 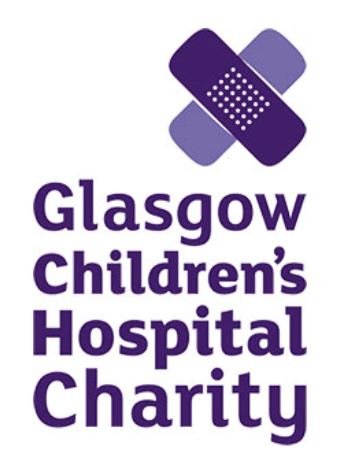 There will also be a raffle with all proceeds going to Callums chosen charity - Yorkhill Children's hospital. who do a fantastic job looking after not only our boy but all the children in their care.